With thousands of Mojave Desert and desert-adapted plants, the Botanical Garden at the Springs Preserve provides an inviting oasis and inspiration for residents and visitors alike. The Preserve's collection received the Award for Garden Excellence from Horticulture Magazine and was named one of the "Top 10 North American Gardens Worth Traveling For" at the Garden Tourism Awards. The Botanical Garden at the Springs Preserve is open daily from 9 a.m. to 5 p.m. Members get early-morning entry to the Garden and Trails beginning at 8 a.m.
Go on a virtual adventure to the Springs Preserve and explore our award-winning Botanical Garden in 360 degrees. 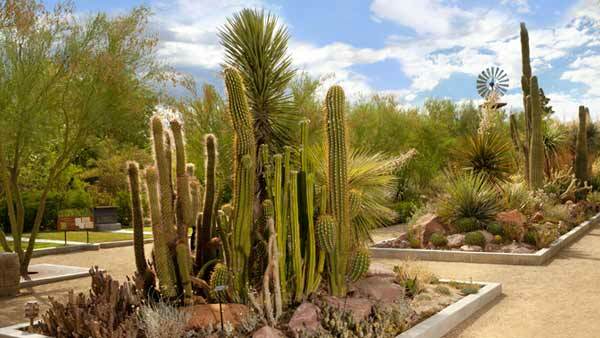 We have many themed gardens, including our signature Mojave Cactus and Succulent Collection. With the opening of a new Teaching Garden, our botanical landscape has something for learners at any age. Located both at the west end of Cactus Alley and across our trails, our signature Mojave Cactus and Succulent Collection is a nationally accredited, comprehensive display of Mojave Desert cactus and succulents. Meticulously collected and with the best of pedigrees, many of the plants in the Mojave Cactus and Succulent Collection were grown from wild seed, taken from wild cuttings or harvested from urban areas. The collection is accredited by the Plant Collections Network of the American Public Gardens Association. Cactus Alley features examples of cacti and succulents from the arid regions of North and South America, including the Mojave, Great Basin, Sonoran, Chihuahuan, central Mexican, and South American deserts. 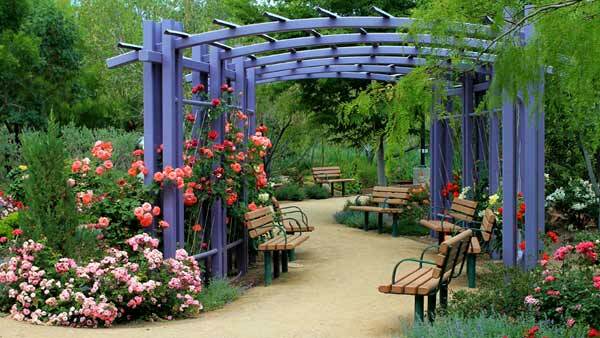 With its centerpiece trellis, the Rose Garden provides a beautiful location for shade, reflection, and photo opportunities. With a diverse display of rose varieties, there is something blooming nearly year-round!. The Herb Garden features plants that have been used for centuries by people in cooking, medicine, cosmetics and decoration, as well as fruit and nut trees. The spring and early summer are the best times to check out the herb collection, which includes thyme, lavender, oregano, marjoram, bay leaf and rosemary. 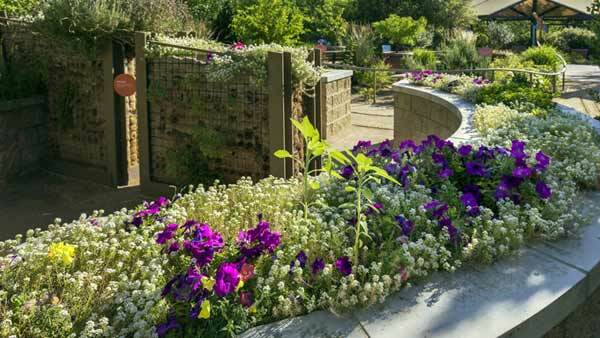 Highlighting gardening techniques that can aid gardeners with physical challenges, the Enabling Garden features vertical planting walls, raised planters, and shallow pans. Although no palms are native to the Las Vegas area, our palm garden features nine species that thrive in our conditions, including edible date palms. 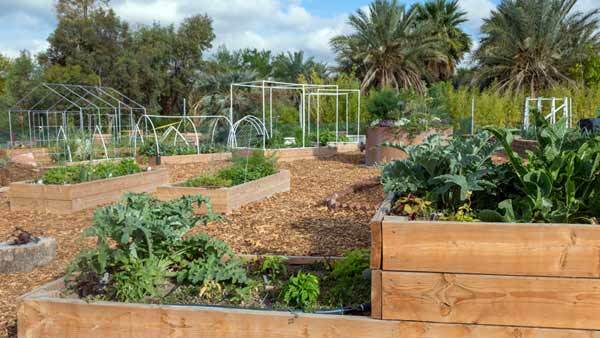 Serving as a living demonstration of when and how to grow which vegetables in the desert, the Linn Mills Vegetable Garden features seasonally appropriate crops grown in raised planters. In the spring and summer, you'll find tomatoes, peppers, eggplant, beans, and more, while in the fall, we grow lettuce, spinach, cabbage and other cold season crops. Check out Events & Activities calendar for any upcoming vegetable gardening classes. This central feature of the Botanical Garden functions as the on-site wastewater treatment facility. Wastewater from our buildings—including water collected when it rains—flows underground through the wetland, where it is naturally treated and cleansed. 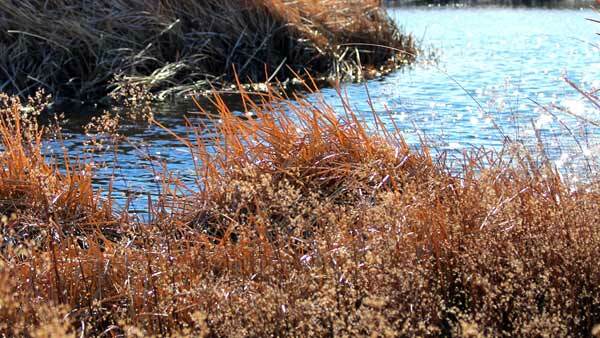 The wetland sustains a lush, biologically diverse oasis filled with riparian vegetation native to Clark County. Located next to the wetland, the Wildlife Garden features numerous pollinator-attractors like Salvia, Penstemon and Tecoma to attract and feed hummingbirds, while butterfly bush, milkweed and blanket flower attract butterflies. The night-blooming evening primrose attract moths in the early morning and late afternoon. 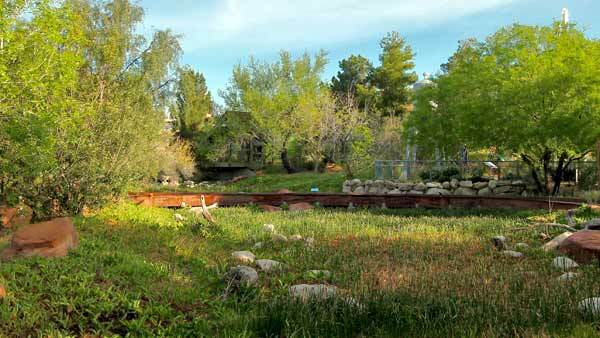 The Natural Areas at the Springs Preserve can be found along 3.6 miles of trails that meander through 110 acres of native habitats and archaeological sites, all representing the "birthplace of Las Vegas"—the site of the Las Vegas Springs. From the Cienega to the Mesquite Bosque, there's plenty to see along our trails. Learn more about the trails at the Springs Preserve. 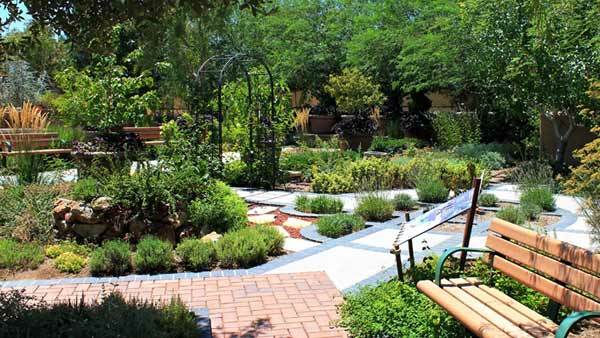 The Teaching Garden is an active, outdoor learning laboratory where students and educators can learn the ins and outs of successful gardening in the desert Southwest. To schedule a visit or school tour please send us an email. Your school may quality for free transportation. Classes and workshops are available for those who wish to learn how to garden using natural elements to plan, plant and maintain a healthy garden, while being responsible stewards of our environment. The Teaching Garden is made possible through a grant from The Rogers Foundation. Want to ensure you have a colorful garden for the holidays? Fall is the perfect time to add petunias, pansies, calendulas and even ornamental kale or cabbage to your yard. 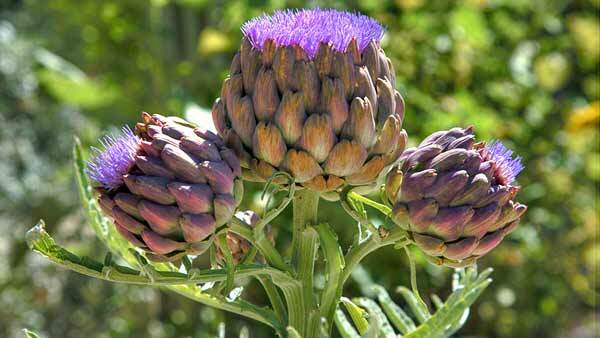 You'll see brilliant purple, white and green colors as temperatures cool. October is the perfect time for planting trees and shrubs, giving the roots plenty of time to anchor themselves. As temperatures start to cool, begin tapering off your watering schedule for cactuses and succulents. Begin planting cool-season vegetables like beets, carrots, lettuce, chard, cabbage and cauliflower to ensure better growth and taste. This also is a great time to plant herbs including chives, fennel, mint, oregano, rosemary, sage and thyme in a permanent spot in your garden or apply nitrogen to an existing herb garden. Keep on top of your garden in the cooler months to prevent unexpected problems. When winter weeds emerge, hoe or pull them out—weeds and other plant debris become excellent hibernating areas for insects and diseases. Put the weeds that haven't gone to seed to work by composting them and reusing them in your garden. Start a compost pile with dead vegetables, flowers and other plant debris. Shred and moisten it for faster breakdown. Infuse a burst of color into your landscape by planting annuals or perennials, but be sure to enrich your soil with plenty of organic matter and balanced fertilizer to give them a good start. Continue building up your vegetable garden after danger of frost has passed by planting beans, tomatoes, sweet corn, cucumbers, peppers and eggplants. Condition your plants by watering them deeply but infrequently to encourage deeper roots. 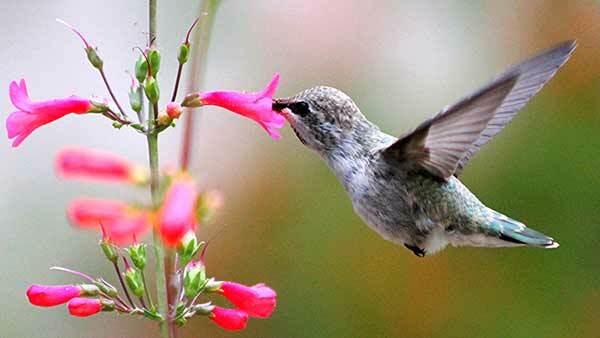 Fertilize plants before the summer heat arrives. 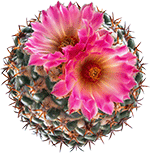 This is a great time to plant agaves, yuccas and cactuses. Prune trees and shrubs to remove unwanted growth. Hire a professional for larger shade trees. This is also a great time to fertilize container-based fruit trees. Pumpkins, squash, cantaloupes, watermelons, okra and sweet potatoes should be planted in your vegetable garden at the beginning of summer. This also is the time to pull your winter plants (carrots, onions, beets, etc.) to keep them from seeding. The time to groom your cactuses and succulents is during the warm summer months. Remove any damaged or diseased plant material using sterilized, sharp pruners to ensure a clean cut. Always make cuts at joints to keep plants looking lush. Add mulch to shrubs to decrease evaporation and keep roots cool. Our team of horticulturalists have tips for keeping your landscape beautiful, and water-smart! Press play to learn more. Selecting plants for your landscape can be overwhelming. And once you've purchased and installed your new plants, how are you supposed to keep their individual care straight? Our plant search tool, presented in partnership with the Southern Nevada Water Authority, takes the guess work out of plant selection and care for you. Simply search or browse hundreds of plants to find exactly what you're looking for. Have a sick plant, horticultural mystery or landscaping question? 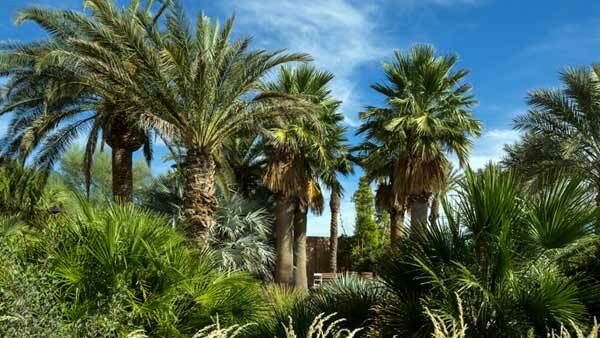 Send your gardening quandary to our Desert Gardener. We accept photos! Our Botanical Garden not only provides a place for quiet contemplation, but also for formal learning! Classes help local residents and plant enthusiasts adapt to the challenges of desert gardening and enjoy the rewards of dynamic designs. Preservation is part of the Botanical Garden’s story, too! Nearly all of the native and cacti and yucca species on the grounds were rescued from local lands that were being developed for residential or commercial use. More than 400 mature trees and plants, some 20 years old and more than 30 feet tall, were transplanted to the Botanical Garden and throughout the Preserve. 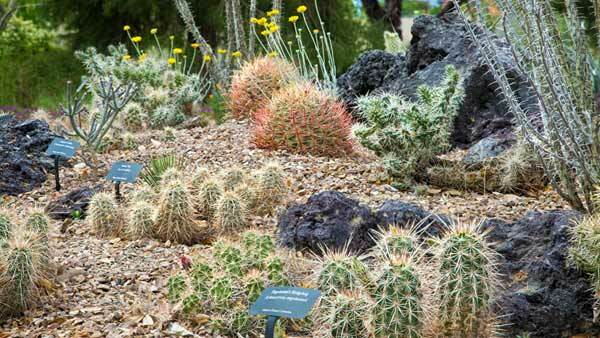 The Mojave native plants on display were grown from cuttings collected in the Las Vegas Valley, making the plants genetically true and better adapted to the climate. 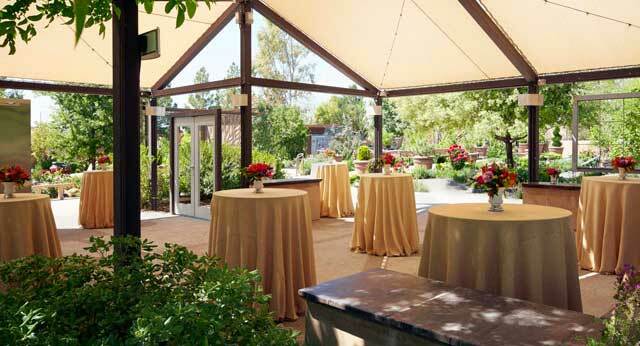 Host an event in our beautiful Botanical Garden! Ready to reserve? Have a question? Submit our Venue Rental Request Form or call us at 702-822-8779. Join our experts for a free guided walk through our beautiful Botanical Garden on select Saturdays and Sundays every month. Meet Brandi Eide, the Springs Preserve Botanical Garden Supervisor, and find out what she loves about desert plants. From seeds to home décor, find the perfect presents for the plant-lovers and outdoor enthusiasts in your life.